Once a former missile destroyer, this wreck has since been given an extraordinary lease of life as an artificial reef, sought after by divers and snorkellers the world over. Sunk in 2005, the 133m-vessel attracts a feast of marine life among its rusting hull. Spot bull and eagle rays darting inbetween slits in the ship's shell, see swathes of yellow-tailed kingfish and human-sized Queensland groupers and, it's even been said that an octopus resides in one of the pyrotechnic tubes on the boat's deck, too. 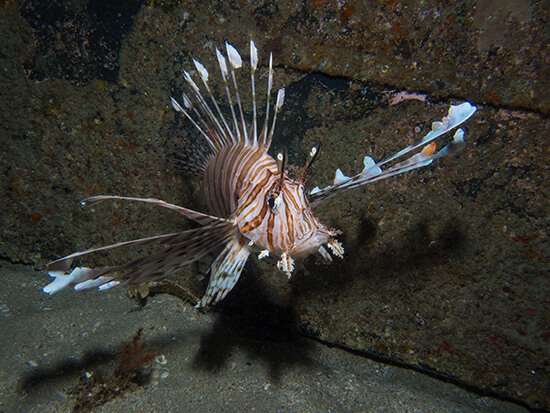 Coral is establishing itself around the ship as well, providing a tidy home for lionfish and juvenile red emperor fish. If that's not enough, the destroyer is fascinating in itself, with the engine and control rooms still largely intact. Rising up from the sea bed, the four rocky pinnacles that make up Wolf Rock appear more like volcanic teeth. But these stony shards, based in the Great Sandy Marine Park just off Rainbow Beach, are more than just that – they've become a diving paradise. 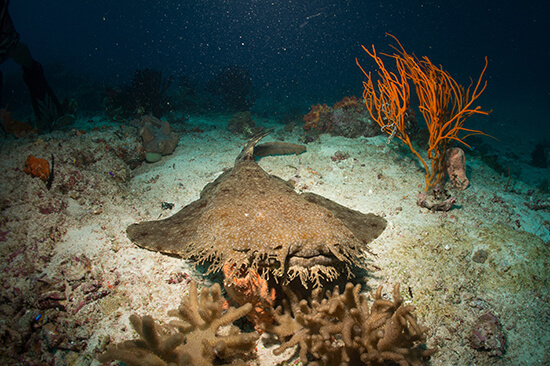 Swarms of marine life can be spotted here: eagle and manta rays, octopi and schools of barracuda all flock here, while it's also one of the few mating grounds for the critically-endangered grey nurse shark. In the summer you can be joined by leopard sharks, while come winter you can glide alongside migrating humpback whales, too. If that's not enough, its waters also boast three types of turtles – loggerhead, green and hawksbill – swimming among the corals and tropical fish. 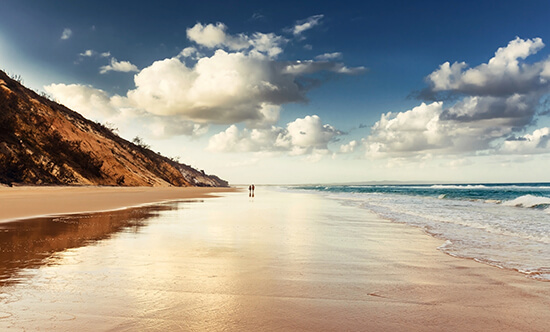 If you want a diving experience packed with variety, then take a dip off Moreton Island. The closest dive site to the state capital of Brisbane, it's a popular destination for divers but there's plenty to go around. 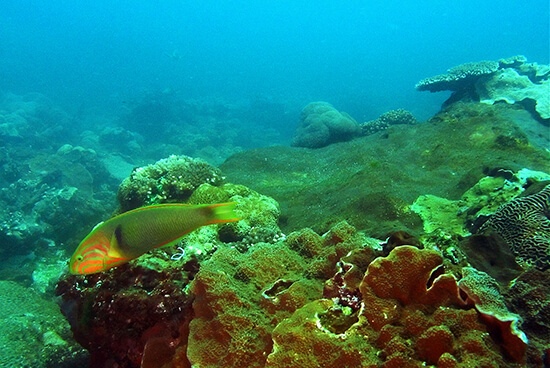 Flinders Reef, to the north of the island, is a mix of rocky stacks, ledges and caves, bejewelled in luminescent coral. As you slalom through its rugged underwater landscape, you won't be alone – stingrays, reef and wobbegong sharks and mantas are also frequent visitors here. To the west of Moreton, Curtin Artificial Reef has become a playground for Queensland grouper, turtles and tropical fish since a research team began sinking everything from vehicles to ships to concrete pipes. Further wrecks are sprinkled around the rest of the island, meaning that, wherever you choose to scuba or snorkel, you'll be greeted with spectacular underwater treasures. A collection of coral wonderlands just up the coast from Brisbane, the Mooloolaba Reefs combines rocky outcrops, submerged canyons, rugged ledges and yawning tunnels, all coated in a layer of kaleidoscopic corals. As you enjoy exploring the nooks and crannies (inquisitive moray eels may come out of their hideaways to sound you out), you'll be passed by rays, wobbegong sharks and turtles. The boulders and rocks provide a feast of life within them as well, offering protection for crayfish, slipper lobsters and starfish – it'll have you spying their surfaces for glimpses of a plethora of exotic marine creatures. What's more, you could have these dive sites to yourself, due to their proximity to the southern tip of the overwhelmingly popular Great Barrier Reef. Do you want to explore more of Queensland's lesser-know reefs? Make an appointment to speak to one of our Travel Experts, and they'll help you choose the coral to suit you.